Judging from the news, our world seems to be drowning in depressing stories. Where are the stories about human goodness, consciousness, and kindness? Meet The Social Coin, a coin that allows people to foster, track, and share acts of human goodness. Social Coins change hands with acts of kindness. 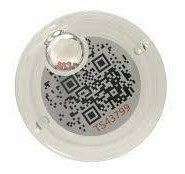 Each coin has a serial number and QR code that allows to track and share online the stories of altruism and goodness fostered by the coin. 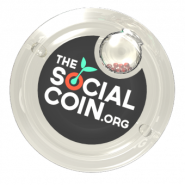 Social Coins are biodegradable and contain rose seeds, so they can also be planted at any time. We are thrilled that The Social Coin has joined Kumu Incubation Lab. We are excited to help with venture acceleration, internationalization, and product redesign. 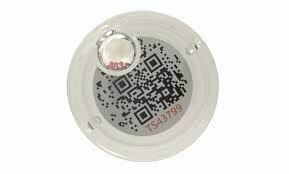 The Social Coin was incepted in Barcelona, Spain in 2013 by Iván Caballero, Anna Closas, Koldobika Goikoetxea and Edgard Pons. In a short period of time, these young social entrepreneurs have been able to put 15,000 Social Coins in circulation, which have already fostered over 124,000 acts of kindness in 40 countries. The Social Coin is a social business generating revenue through the sales of coins. In addition to individuals and nonprofits, early customers include companies interested in giving out Social Coins to their employees, such as Cisco, Schneider, and Deloitte. We at Kumu find great innovative and transformative merit and potential in The Social Coin as a way to record, trace, measure and increase the visibility of human goodness. We also love how it fosters storytelling around human goodness and provides a container for such stories. It will be interesting to see how The Social Coin can become a platform where organizations and individuals can track and measure their own altruistic memes, campaigns, policies, social movements, etc. The Social Coin establishes individual acts of kindness as units of measure for goodness, and creates a physical, transmittable support for these in a way that both mimics and exposes money. These factors combined we believe make The Social Coin poised to disrupt and expose essential notions, symbols and metaphors attached to money, especially those elements in money that are tied to greed, alienation, competition, scarcity, and need for endless growth. The use of “psycho-physical social media”, capable of viral transmission and shareable on and off the physical and virtual realms, is also of great interest to Kumu. In fact, this is something we know up close through BlueMarbles, the campaign to pass blue marbles as tokens of love for the ocean which was started by Kumu Innovator and eminent ocean renaissance man Wallace J Nichols. We at Kumu also have ideas for an even more radical design of the physical coin, and we can’t wait to start working on these too. The Social Coin Vision is a world living by the values of kindness, empathy and solidarity between people. We couldn’t be more exited to be working alongside The Social Coin. To know more about The Social Coin, contact us.